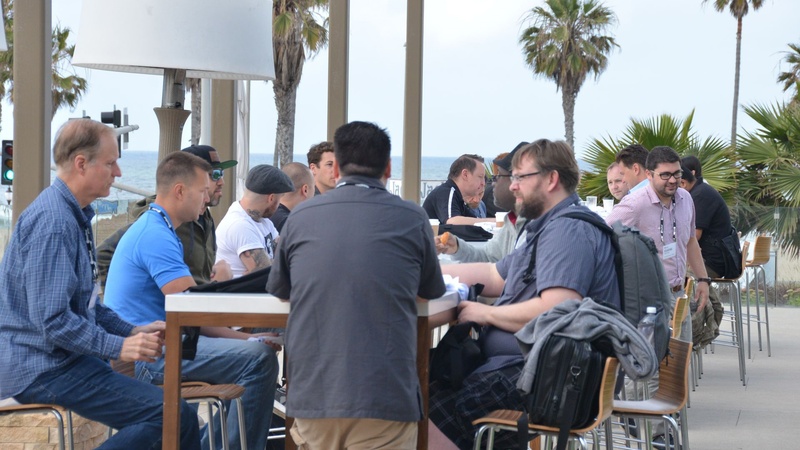 This was the second year for the RenderWortld conference and the first time we have held it in Huntington Beach. 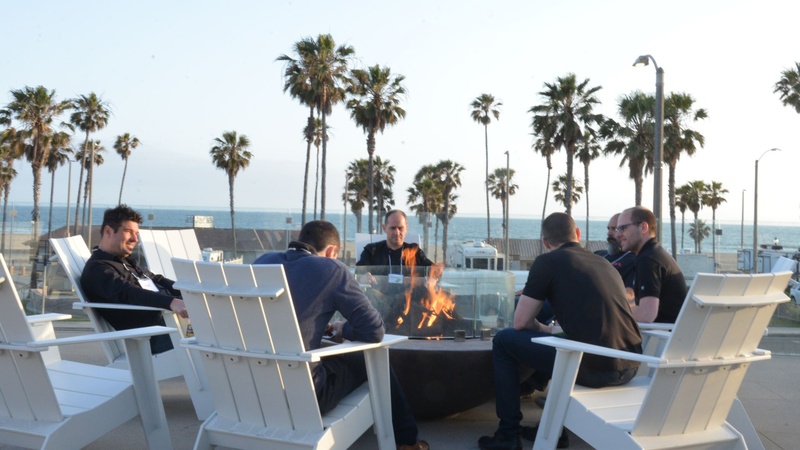 I think everyone would agree the location was absolutely incredible. 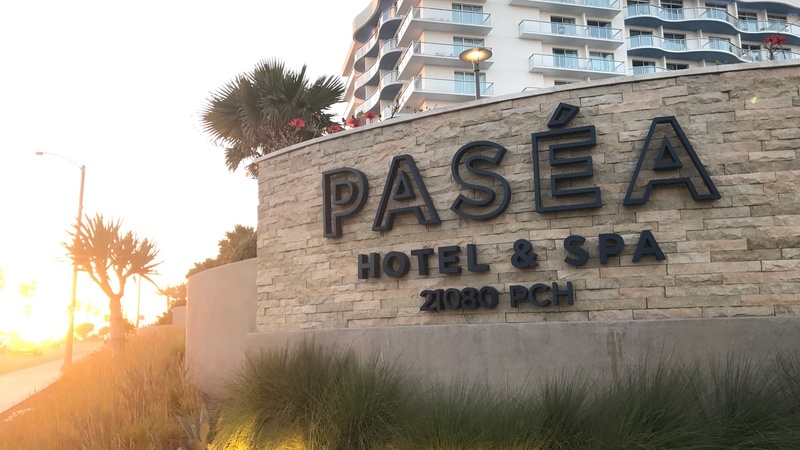 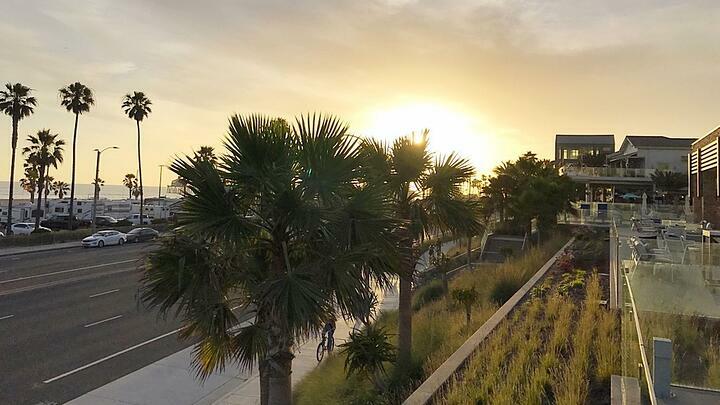 The Pasea Hotel is right off the beach and the perfect size for a small conference like KeyShot RenderWorld--everything in one spot with great areas to congregate, talk shop and meet others. 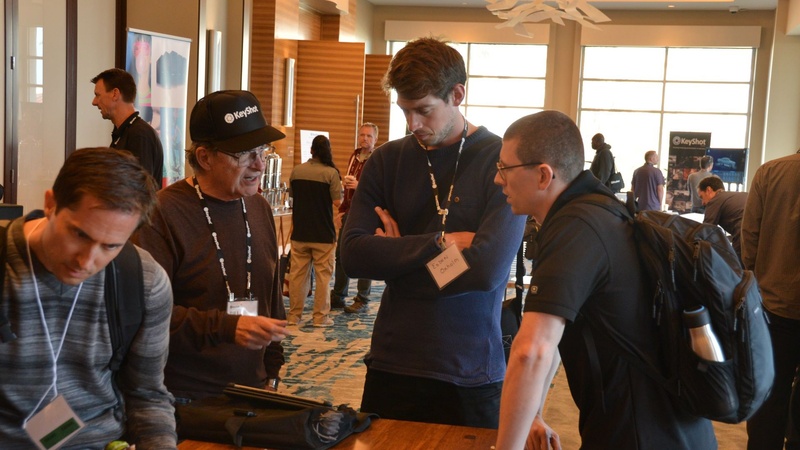 With nearly 300 people attending KeyShot RenderWorld, we had a ecletic array of people from different companies and disciplines--from engineers to photographers and independent designers to entire design groups. 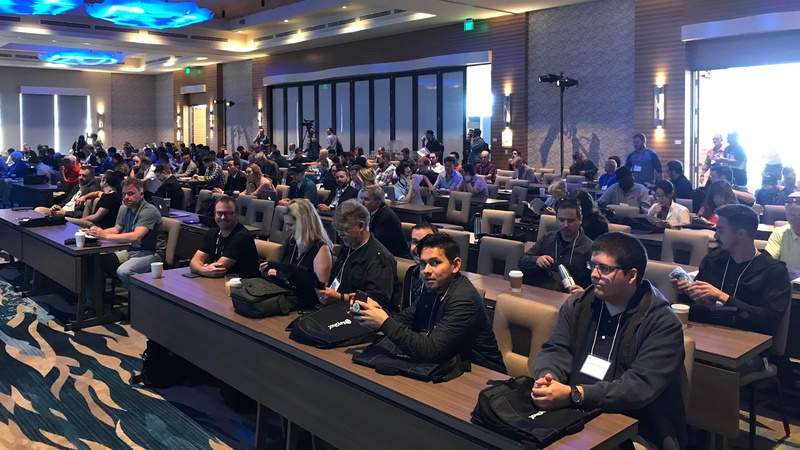 This was twice the size of the previous year with KeyShot users from 150 different companies represented at the conference. 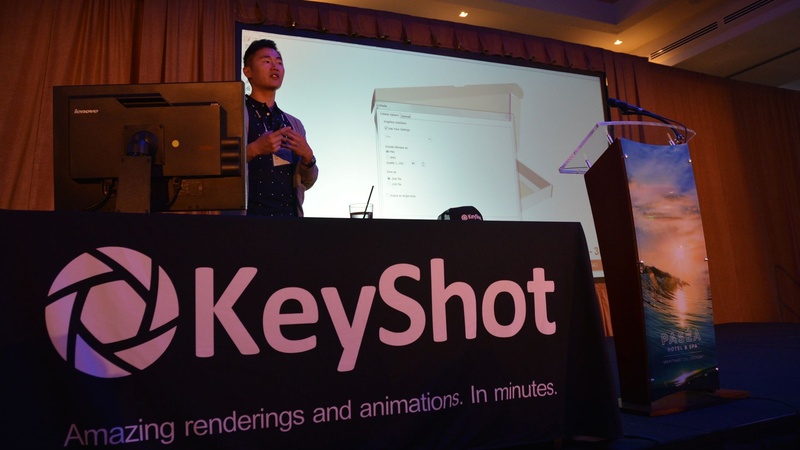 From among these companies, 10 KeyShot users presented, providing everyone with a glimpse into their process, how they use KeyShot and how it has changed how they create visuals. 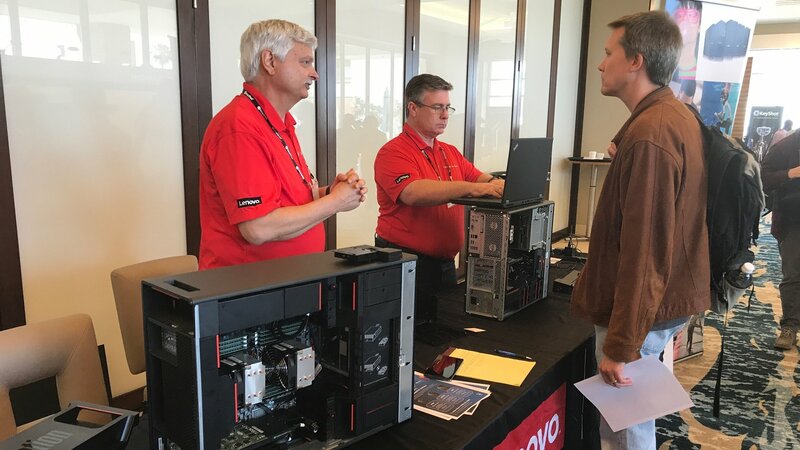 Our first year to have a sponsor exhibit area gathered our six sponsors together to feature their products and service. 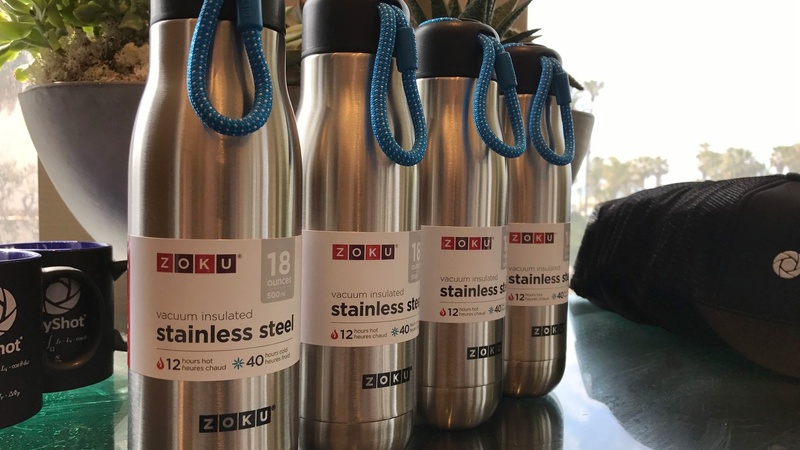 Lenovo was our presenting sponsor showcasing their newest machines, with Intel showing their latest technology and Zoku as our product sponsor providing each attendee with their new, unrelease stainless steel bottle. 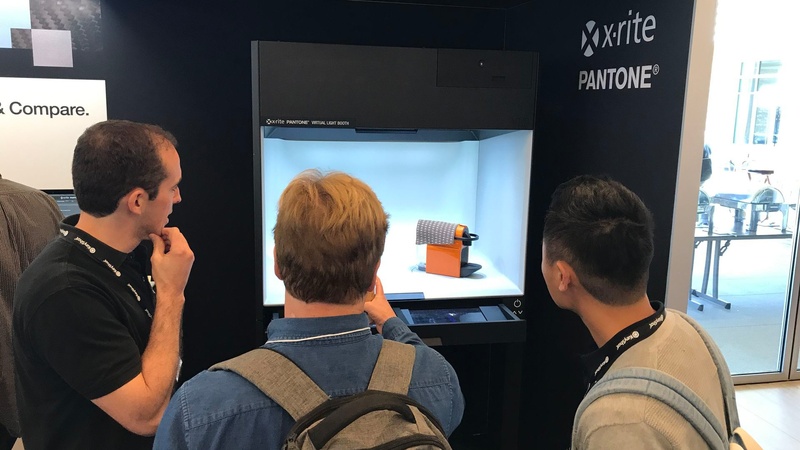 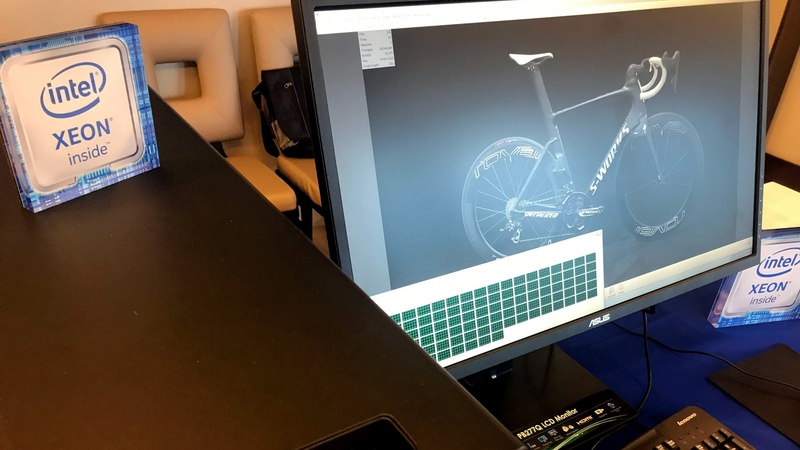 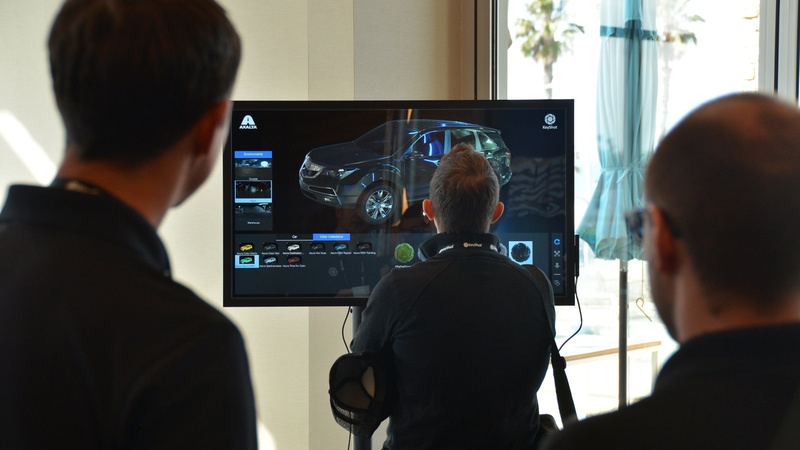 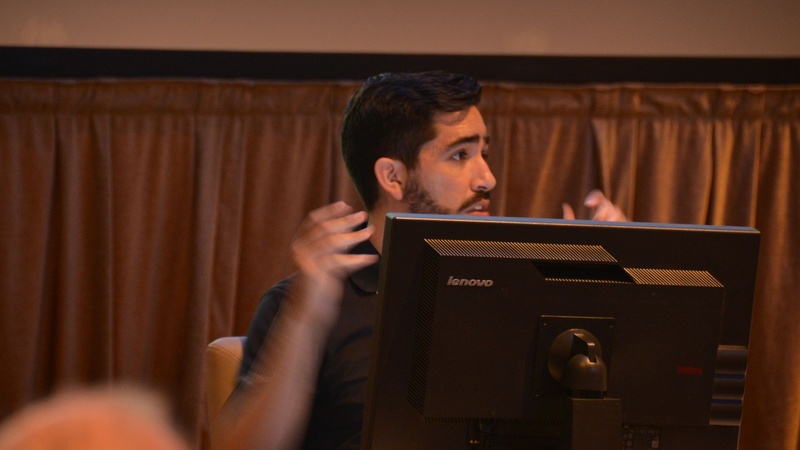 3D Off the Page shared their rendering services, X-Rite gave attendees a look at their TAC7 scanning technology and Axalta offered at look at their native color coatings support in KeyShot previewed with the new KeyShot Configurator. 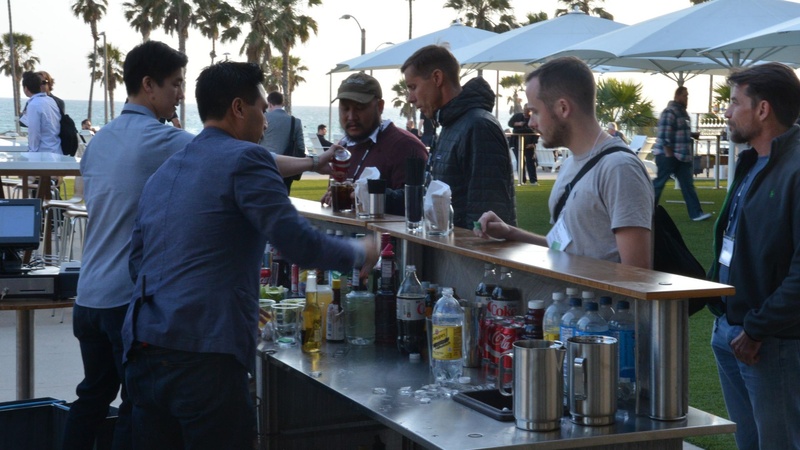 We are extremely grateful to the sponsors who helped make this event possible. 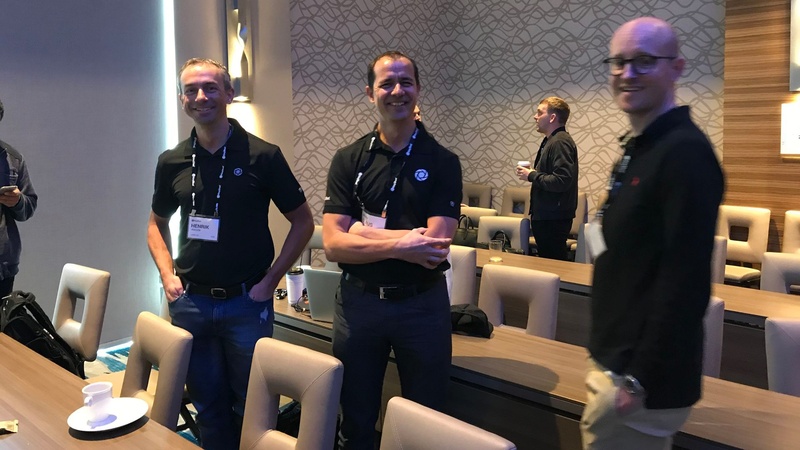 Day one of the conference kicked off with six speakers: Bradley Adelmann of Armstrong White, Dave Fugiel of Orbus, Aaron Richmond with Wilson, Terril Johnson with Caterpillar, Curt Aumiller with Samsung, and Gustavo Fontana, formerly with BOSE. 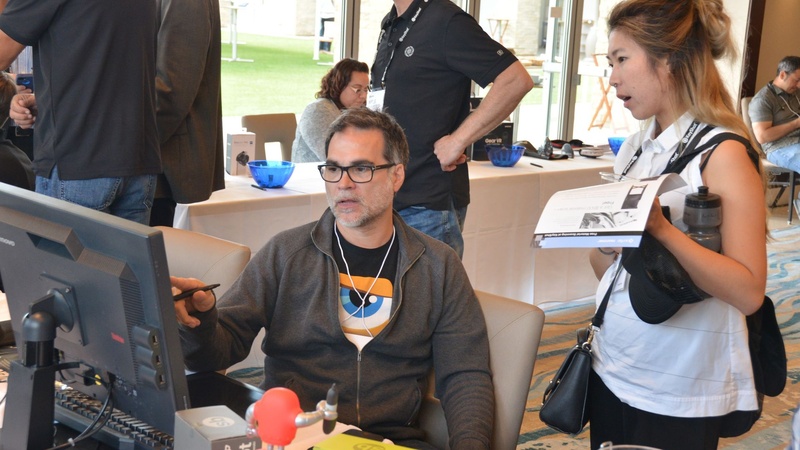 Day two featured speakers displaying their work and describing their process with presentations from Igor Sobolevsky, a freelance Concept Artist, Taiwon Choi of Fellowes, Doug Tsai with Sonos, and Jason Busschaert with Stanley Black & Decker. 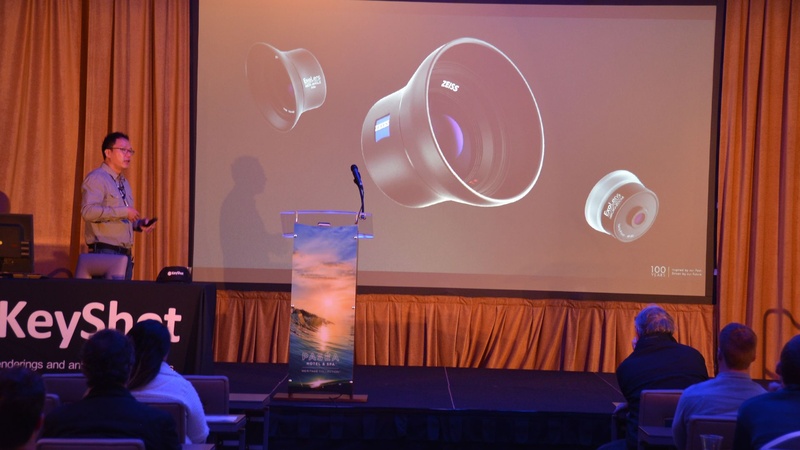 Together the presentations provided a broad look at how KeyShot is used throughout the process from conceptual design and engineering review to final imagery and marketing. 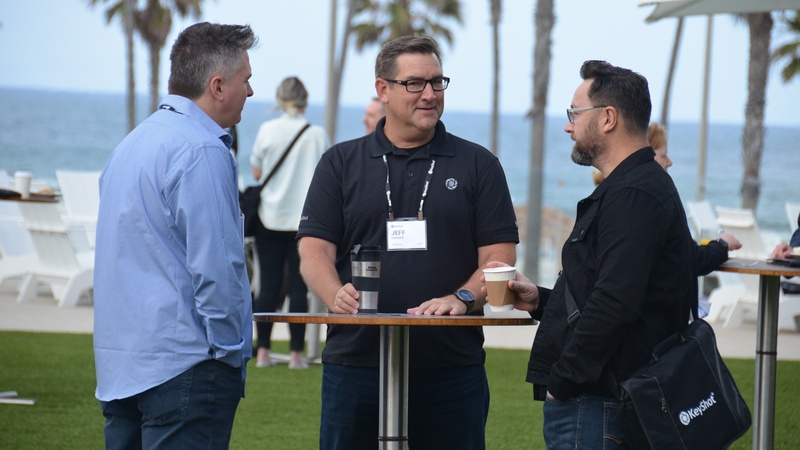 Chip Foose of Foose Design highlighted day one with the evening keynote address. 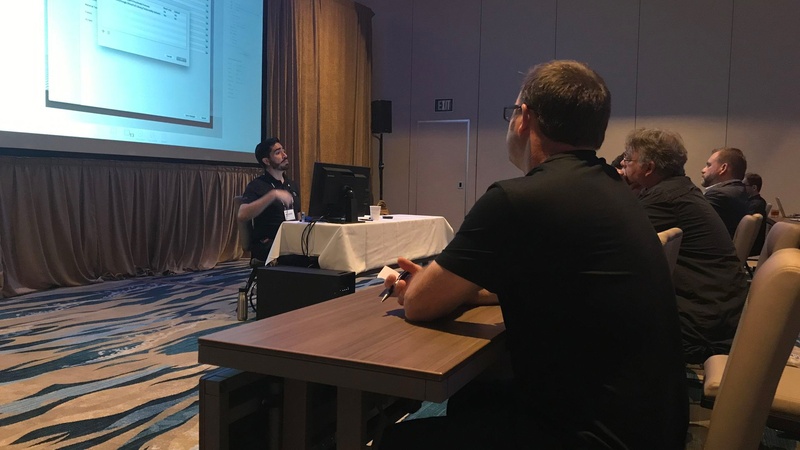 While many were expecting to see a lot of car drawings and body work, the talk was more about his story, how he got to where he is, and what can happen with strong support at your side and a desire to work hard focusedon the passion that drives you to get through the tough times. 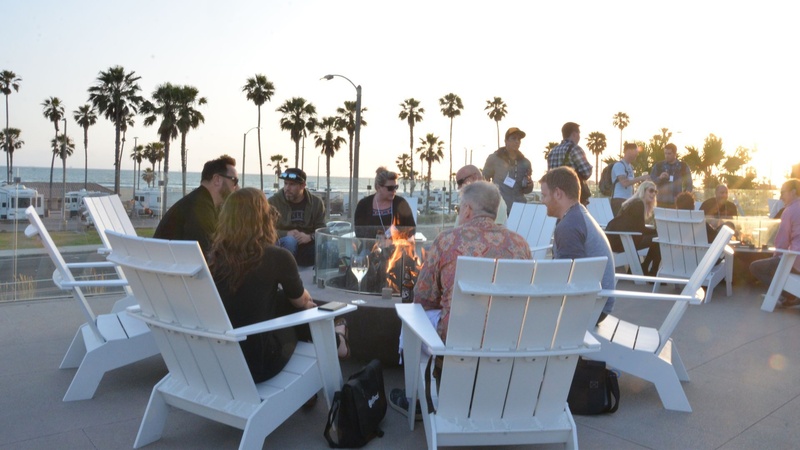 The day wrapped up with an evening reception where Chip continued to talk with people and sign autographs late into the night, while others huddled around the heaters and firepits on an refreshingly frigid evening in Huntington Beach. 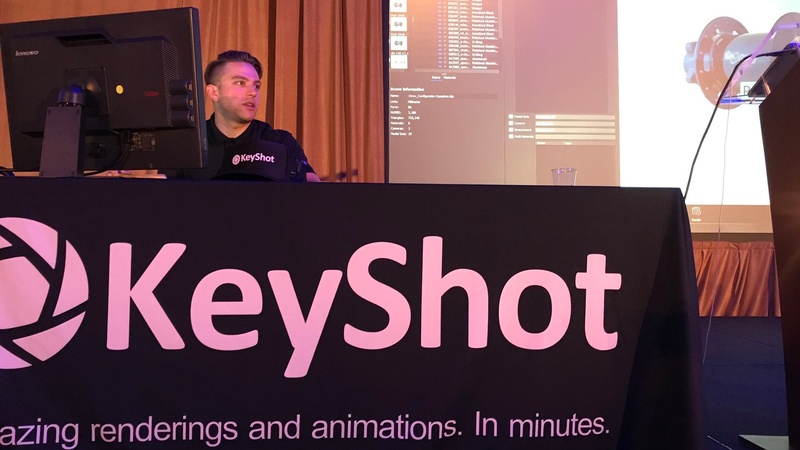 Henrik Wann Jensen and Rex Roberts highlighted day two with a first look at KeyShot 7, describing KeyShot 7's focus on bringing you more ways to create with the new KeyShot Configurator, Studios and real-time VR support, more material possibilities with new material types and texture mapping, multi-materials and enhanced procedurals and more flexibility with UI, workspace and hotkey customization. 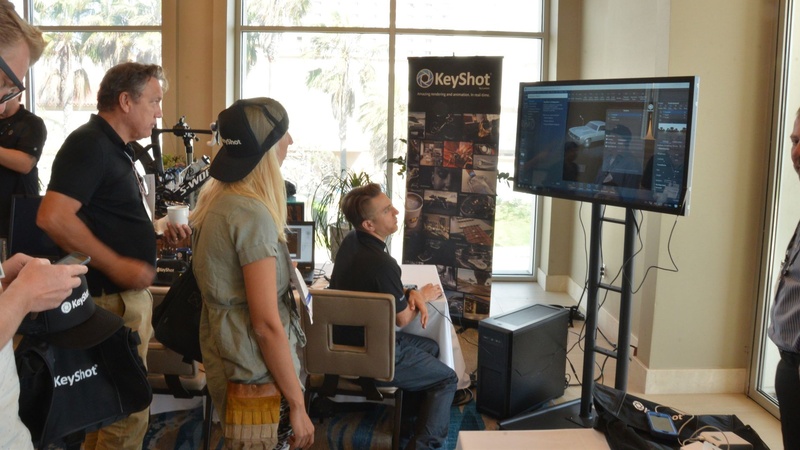 Rex demonstrated both the new Studio for single scene setup of multiple material, environment and model scenarios showing how it works to build and present design variations using the new KeyShot Configurator. 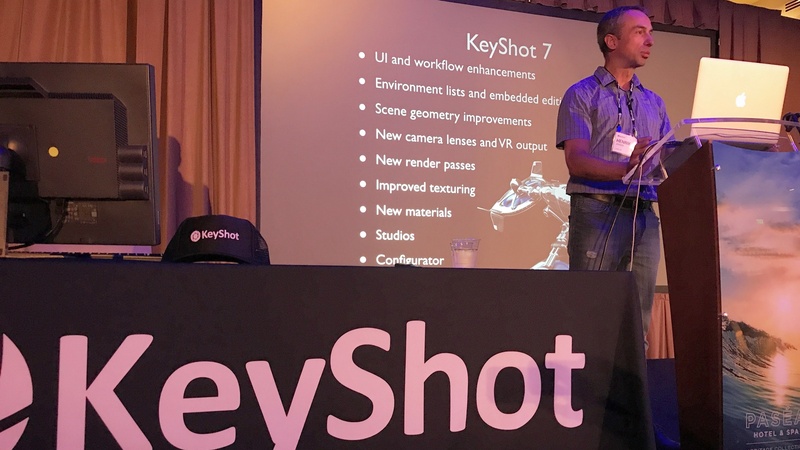 With this, each attendee was invited to take part in the KeyShot 7 Beta which began after the conference where, right now, they are using the new features and providing feedback to make KeyShot even better. 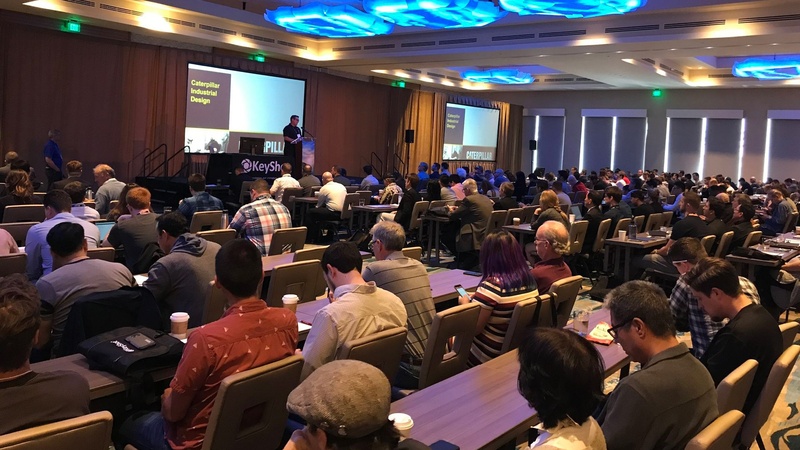 With a large demand last year for more workshops, this year we ran six specialize sessions each afternoon. 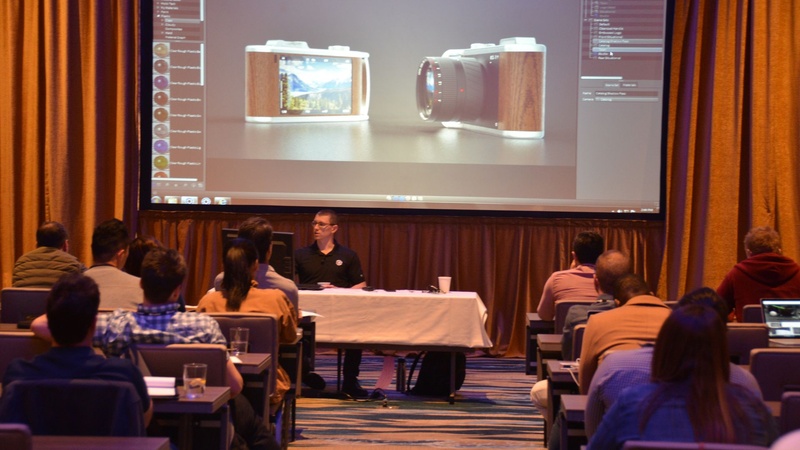 The workshops went deeper into the topics of materials, lighting and workflow touching on how to approach the setup of different models, along with advanced techniques for material creation and animation. 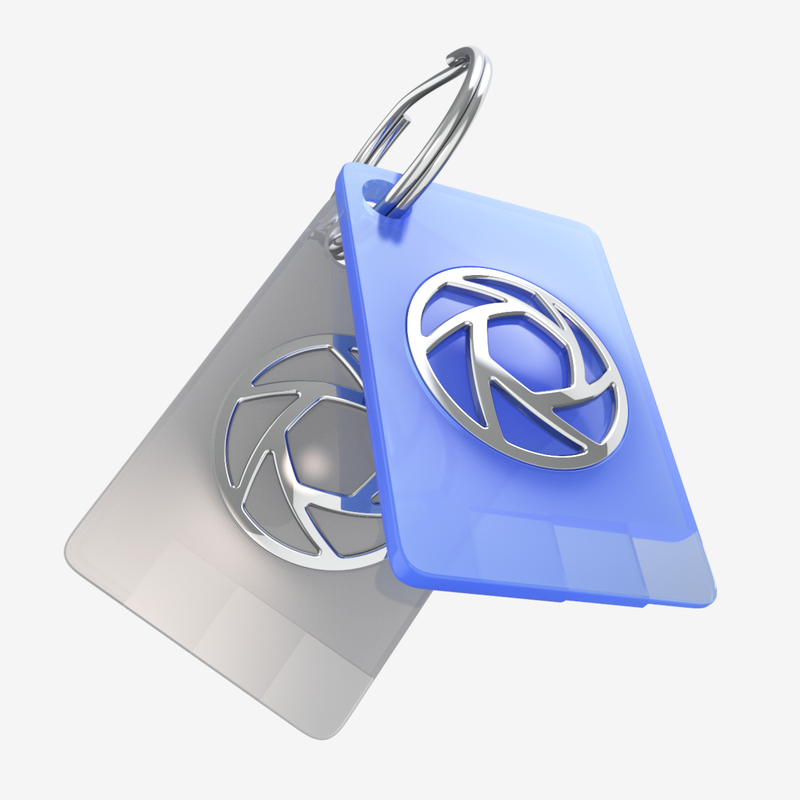 For many, these were the primary reason for going to KeyShot RenderWorld with attendees commenting on learning new approaches to the visual creation process and others commenting on new insight gained that would save them hours if not days. 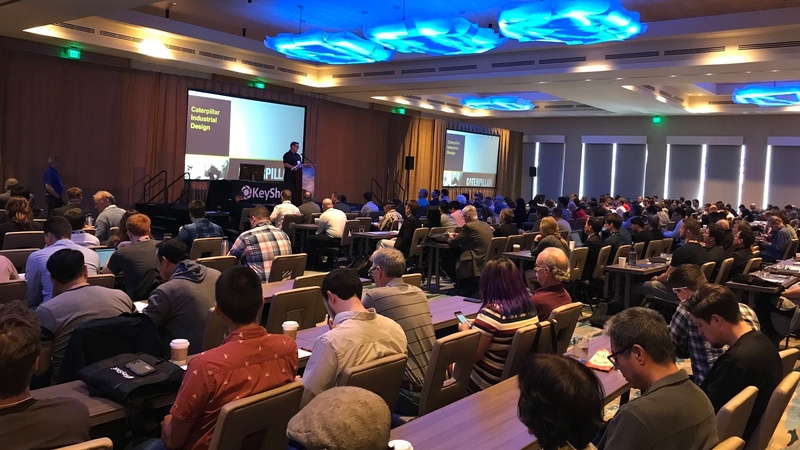 We always learn a lot about what people are interested in learning about from these workshops and, with some standing room only, that was no less the case this year. 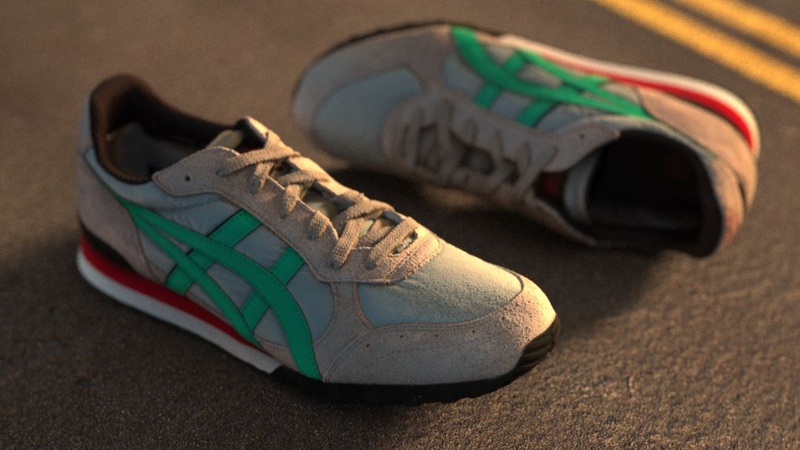 Some of the most popular workshops were how to Master Lighting in KeyShot and Creating Realistic Materials, Using KeyShot in Product Development and Advanced Product Animation. 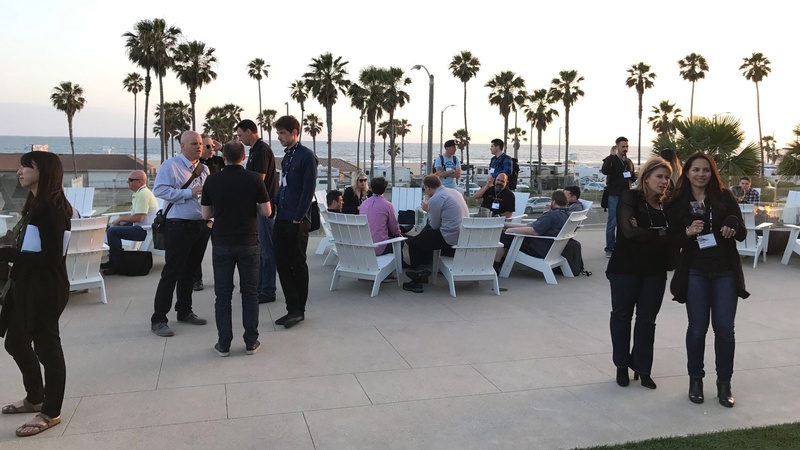 And, of course, we're interested to hear which ones you liked most and what you would like to learn in these workshops at next year's conference. 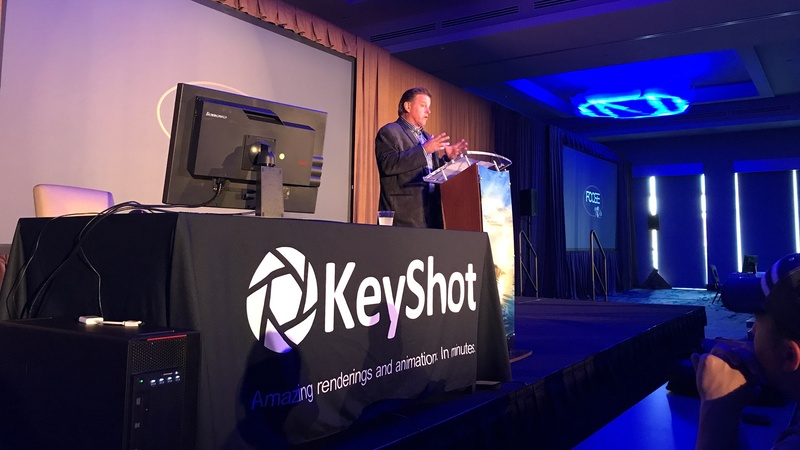 Speaking of next year's conference, we're already looking forward to KeyShot RenderWorld 2018. 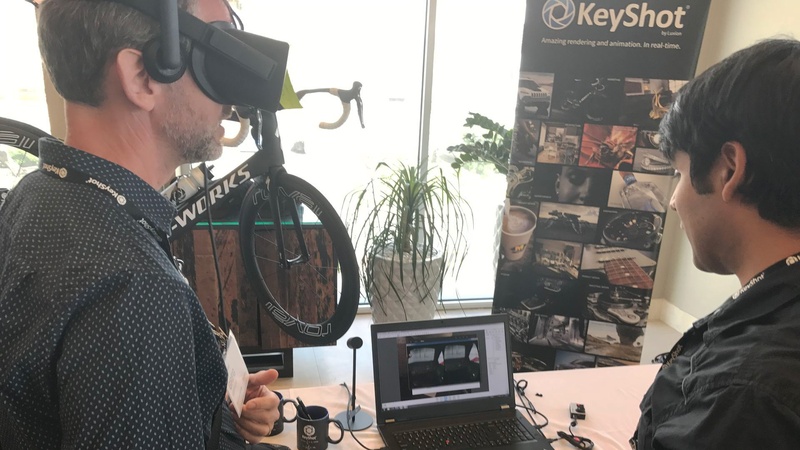 We've had a lot of feedback on RenderWorld 2017, what people liked and what could be better. 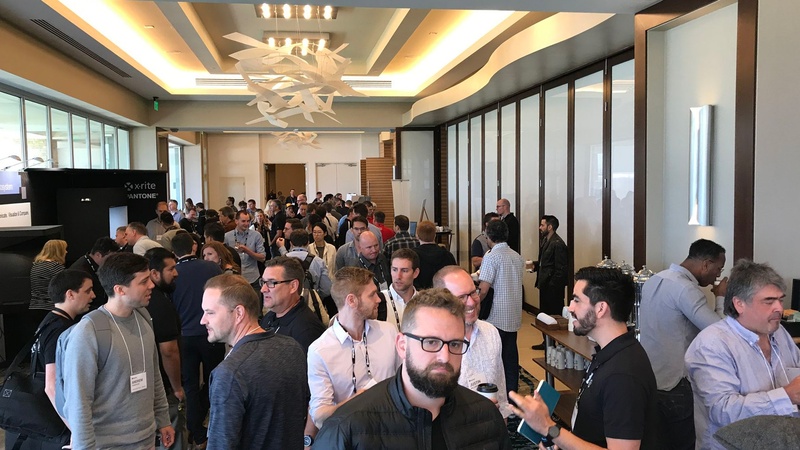 And we're interested in hearing from you if you're planning to attend, interested in presenting or interested in sponsoring. All of it works together to make this such a successful event and we would like to once again say thank you to the attendees, sponsors and speakers who made this conference the absolute best KeyShot RenderWorld yet.